It’s Read-A-Romance Month! Thanks to Bobbi Dumas for organizing the party and to Laura Moore for roping me in. What a lovely way to celebrate romance. Every person in the world is the heroine or hero of their own romance, and my favorite way to celebrate romance is to hear their stories. From time to time, I need to play the role of “spouse” at corporate events. Mr. McLuckie has the kind of job where he has to wear a suit and tie on a regular basis, and I need to be interesting but not too interesting, if you know what I mean. At these kind of events, everyone is dressed up (well-pressed, conservative, not too interesting…) and on their best behavior. The cocktails are never quite strong enough. Conversation revolves around work and weather. Years later, when I’m fuzzy on the names and vague about all the other details, it’s the love stories I remember. The high school sweethearts who married way too young and had kids too early, but somehow muddled through and now they’re razzing all their friends who are late to the game. Or the couple where each had given up hope of finding “the one,” but friends convinced them to give online dating one last shot. Or the couple who sheepishly admitted going on their first date solely to appease matchmaking parents. Every love story is different. Not only is every person unique, but when mixed and matched with all the other unique people in the world, the relationship they create together will be unlike any other. The world is too full of pain and heartbreak. When we find love, we need to celebrate it. So read a romance novel (or three!) this month, fall in love all over again, and next time you’re out and about in the world, ask someone about their own love story. Love is everywhere. 1. Describe the most daring, adventurous or inspiring thing you ever did. First we “drove” for four hours in an ancient van down a “road” so rocky that we blew a tire halfway there. Upon arriving at the “airport” we hopped into a rickety four-passenger prop plane for our “flight” into the jungle. The ride was short, but as we came in for a landing on the grass airstrip we could see some junk on the side of the “runway.” Turns out it was the wreckage from a previous botched landing. Once safely on the ground, we traveled by canoe up the river, and then hiked to the camp. At that point, I gave up all hope of ever returning home and resigned myself to life in the jungle. Luckily, after a week of jungle life, I was more than ready to risk my life again to return to civilization. Hooray for running water! * This story cannot be told without the use of air quotes, as so many of the terms (e.g., “road”) are used very, very loosely. 2. Tell us about your journey to becoming a writer. I spent most of my childhood lost in books. If my parents told me to go outside and play, I took my books with me. When I wasn’t reading, I made up my own stories. I lived more inside my head than in the real world. Somewhere along the way, I started writing down my stories in notebooks and journals, but it never once occurred to me that I could write an actual book. Authors, in my mind, were creatures from another planet. Regular people like me could not magically become one. But then one day…. And that was the key that unlocked me. For the first time, I realized that authors are people, too. Special, yes. Talented, yes. But not perfect – and not aliens. For the first time I allowed myself to imagine joining their ranks. In the beginning my ambitions were modest. I didn’t need to write an amazing book. I didn’t even need to write a good book. I just wanted to write a book that wasn’t horrible. It took a while. Writing a not-horrible book is harder than you might think. It takes work and skill, persistence and practice, and yes, maybe a little magic. But here’s the secret: The magic comes from giving yourself permission to do something badly. To fail spectacularly. To fall down, pick yourself up, learn from what just happened, and try again. You’ve all heard the inspirational quotes. I’m here to tell you that they’re true. Go ahead and fail. Unlock your magic. We all need to start somewhere. In honor of Read-A-Romance Month, I’m giving away five copies of my debut novel, Love Song (Instrumental) to the first five people who send me a note using the contact form here on the web site. It could be you! If you’re looking for your next favorite author, here are three of my favorites. 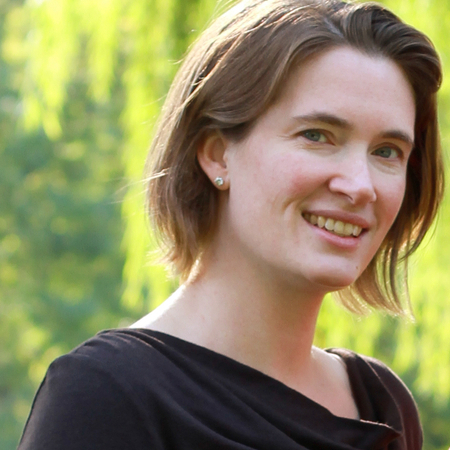 Kristen Callihan writes Victorian era paranormal romance. She’s got it all — emotion, heat, witty banter, and so much depth that you’ll find yourself wanting to re-read. Her Darkest London books are connected, so for the full experience I’d start with the first one, Firelight. 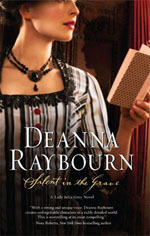 Deanna Raybourn started out writing mystery novels set in Victorian era England. Her Lady Julia Grey series has a lovely romance arc in addition to the mystery, and as a writer I love the way she uses language. She’s expanded beyond the Lady Julia series now, but if you’ve never read her books before, I’d start with Silent in the Grave. 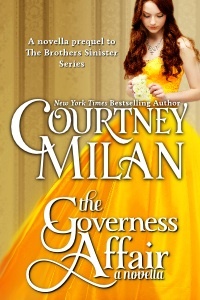 Courtney Milan writes historical romance, and she’s a great choice if you want a new twist on the usual backdrop of debutantes, rakes, and balls. She explores the lives and experiences of those people who don’t fit nicely into high society, and as it turns out there was a lot more going on in the world at that time than endless parties. Who knew? Lisa McLuckie was born a wanderer. She has lived in four states and two foreign countries, had twenty-four different addresses, and explored five of the seven continents. She currently lives on the fringes of Chicagoland with her husband, three sons (sizes small, medium, and extra-large), and a ridiculously adorable dog named Daisy.